Kelly of Miamisburg had been eyeing Van Jones on the web site and week after week, he was still there. 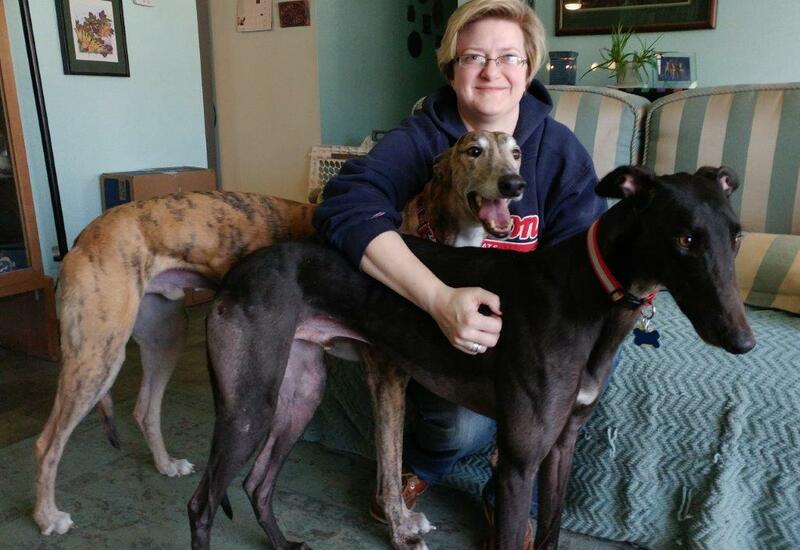 She decided she and brindle male Darrow needed to add to the family so we set up a meeting. Jones (new name still under consideration) was as taken with Kelly as she was with him so we made it official. In the family photo, Jones is watching for the obnoxious squirrel he'd seen a few minutes before, while Darrow is just happy to be with Mom and his new buddy.